MCL Law Office provides legal advice and attorneyship services at national and international level through its contact offices in Istanbul, Ankara, New York, London, Frankfurt, Paris and Vienna. It provides legal support for problems of native and foreign real and legal persons regarding real property , company, tax, commercial , inheritance and family law and for every kind of procedures from counseling to the settlement of an action in fields of banking, financial, insurance law, foreign investments, contracts, mergers & acquisitions. 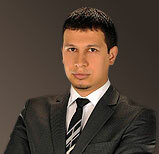 MCL Law Office operates protective law mechanism in solving possible problems that may arise while establishing legal relations with conciliation methods in compliance with general principles of law through providing counseling services in institutional terms regarding investments made by native and foreign investors in Turkey. At this stage, MCL Law Office, eyeing sensitive balances of commercial life closely, presents analytical, practical, rapid and the most advantageous legal solutions in accordance with the requirements of the globalized world. Possible gains and risks of a suit are explained to the clients for conflicts bound to be settled by an action; steps to be taken and strategies to be followed are practiced upon the approval of the clients. Phases and developments of a suit are presented to the clients both in verbal and written ways. On the other hand, our law office works in cooperation with other law offices and persons and institutions that are experts in their fields at national and international level in order to provide a never-ceasing and rapid service and present this service to its clients. Our contact office in Frankfurt-Paris-Vienna and Ankara gives assistance to our office for applications to be made to the related ministries and institutions, especially to the Competition Board and Public Procurement Institution and for procedures followed in order for our foreign clients to receive work permit and investment permit. During conducting these services, MCL Law Office adopts preserving its clients’ every kind of information and documents not open to public as a principle in accordance with confidentiality and responsibility principles. We use the most up to date specialized programs such as, Icrapro (enforcement pro), Avukatpro (Attorney pro), YTS, Corpus Regulations and Opinion, Turkish Law Data Bank, Dynamic Opinion, E-Opinion, (Regulations data) Opinion and Regulations and Judicial World programs, in our office in order to be able to provide a better service for our clients. 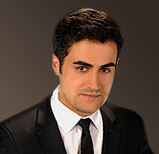 Huseyin Bal received his legal education at Konstanz & Augsburg university, College of Law with high marks. International Arbitration, International Commercial Law, Mergers and Acquisitions, are the main areas of his expertise.  He is specialize in European and particularly German Law. He is a member and examiner of Courthouse Commission of Jurists operate and also Civil and Criminal Court of Justice in Istanbul . Huseyin is fluent in German and knows Spanish and English. MCeza Davaları başta olmak üzere Hukuk davalarında ayrıca gayrimenkul, inşaat ile sigorta hukuku davalarında danışmanlık ve Avukatlık hizmeti vermektedir. 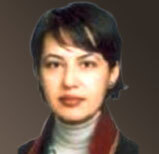 Serafettin Ekinci, graduated from Istanbul University school of law in 2005. National and International Petroleum Law, Maritime Law, Labor and Social Security Law and also Family Law are his main areas of expertise. He has a lot of experiences and also some articles in these fields. Serafettin knows English. 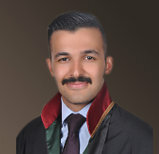 Umut Safak, graduated form Maltepe university, Law faculty in 2007. His main expertise fields are consist of Labor law,Family law, Execution and Bankruptcy law, Criminal law, Administrative and also Real State law. 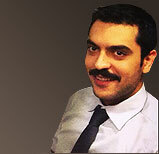 Aile Hukuku alanında özellikle Boşanma ve Mal Rejimi Tasfiyesi ana uzmanlık alanı olup, İş Hukuku, Şirketler Hukuku, Anayasa Mahkemesine Bireysel Başvuru, Adalet Bakanlığı İnsan Hakları Tazminat Komisyonuna Başvuru, Sözleşmeler Hukuku, İdare Hukuku ve İcra Hukuku uzmanlık alanlarından bazılarıdır. İngilizce bilmektedir. 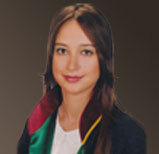 Gizem has graduated from Law faculty of Eylul University in 2006 . Intellectual and Industrial Property Rights Law, Bankruptcy Law, Press and Media Law, Consumer Law and also Civil Law are some of the areas of her expertise. She can speak English and French fluently. Basak Mert, Born in 1988 in Germany. 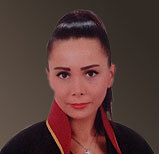 Graduated from Istanbul Culture University in 2006. In 2011, she participated in a professional research program in the United Kingdom and during this program she also completed her English language there. In addition to her impressive records in various legal cases such as Bankruptcy and execution, Family or Real State, Basak is specifically specialist in branches of Business and Corporations law and Private law. İş Hukuku , İcra ve İflas Hukuku, Aile Hukuku ve Ceza Hukuku ile ilgilenmektedir. Martin Grunberg has graduated from Law faculty of Konztant university in 2006. German and Europe Law, International Law, Real State, Labor and also Business and Bankruptcy Law are his main work fields. In addition to German Martin can also speak Spanish and French fluently.